Quote Reply Topic: 290 vs 343 flywheel?? 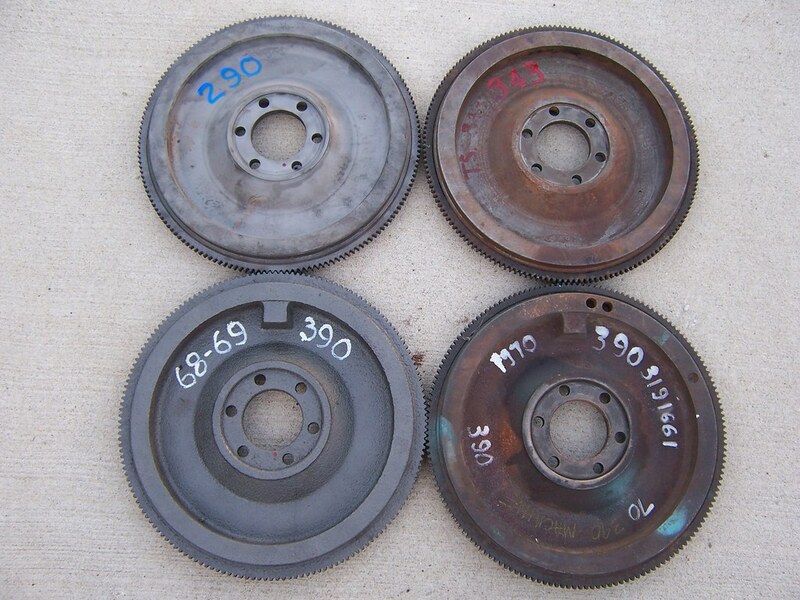 I am trying to figure out the difference between a 343 and a 290 flywheel. I don't have the two to compare but I notice they are being sold as one or the other. Since they are the same crankshaft (right?? 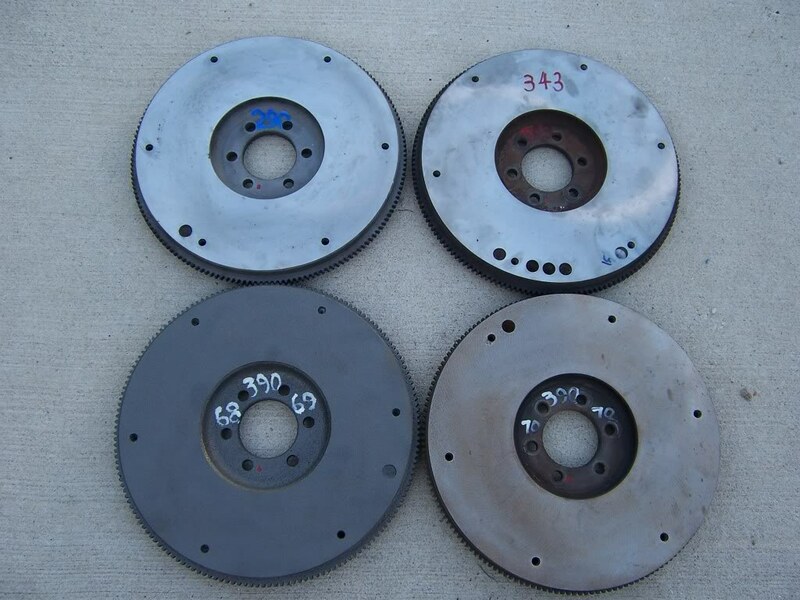 ), why a different flywheel? Balancing has to be the same as well as clutch type. They seem interchangeable to me.. What am I overlooking? I ask because I need one for each engine, but it seems to me that I'm needing two of the same thing..
Hey guys, thanks for the informative input. So, from all that, it looks like I CAN use either one, as long as I am having it balanced with an engine rebuild...correct? make sure the machine shop understands that the AMC v8 is externally balanced. I paid a machine shop to balance my one 360 with a 304 flywheel and balancer....it still vibrated..total waste of my money. Walt, you are absolutely correct, I have never had a AMC vib after rebuild/rebalance, I do everyone, same shop...over 100 of them now. It appears the flywheels you have pictured are all indexed in the same mount position, right? I see the red marks at the 7 o'clock hole on each one. I assume that is why those are there. The pics helps a lot, thank you. Yes, they are all indexed in the same position. Here is a picture of the other side.